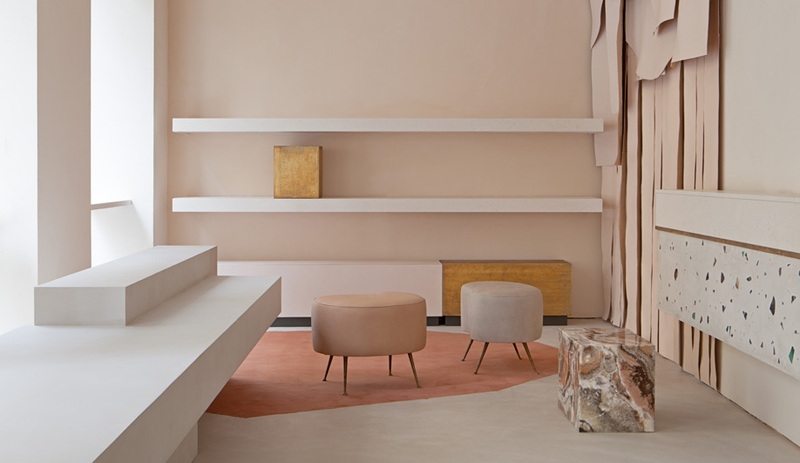 Drawing on the casual vibe of the New York neighbourhood, March Studio creates a minimal stage-like space for the skin care brand. 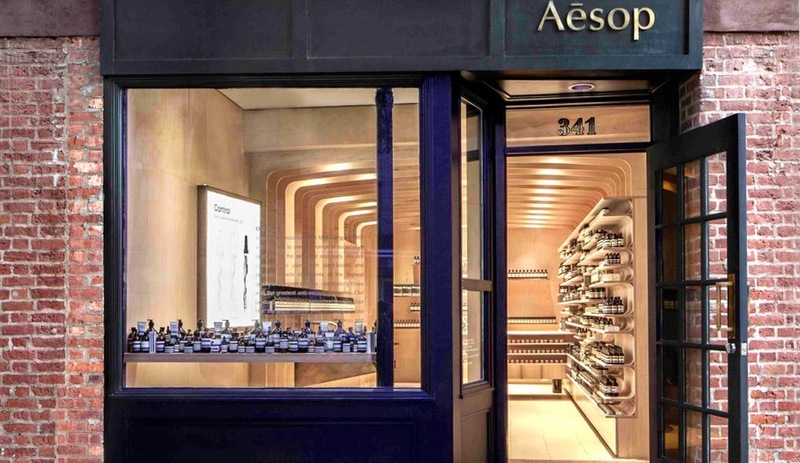 Australian brand Aesop continues to expand its New York presence with the recent opening of a location on Bleecker Street in Manhattan’s West Village. The warm wood-lined interior, designed in collaboration with Melbourne’s March Studio, reflects the down-to-earth aesthetic of the neighbourhood, eschewing ornament in favour of sweeping vertical lines. 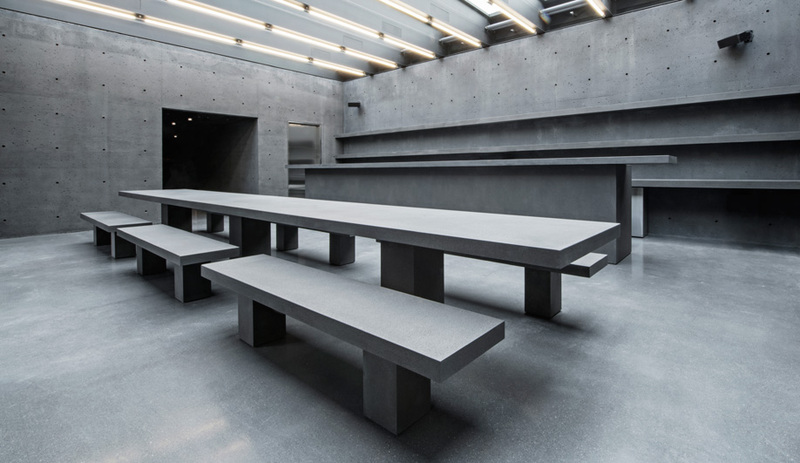 The biggest gesture in the compact interior is the use of plywood panels, which are attached perpendicular to the walls to resemble louvers that run up the walls and across the ceiling, forming a gentle arch overhead. The openings created by these panels frame the checkout desk near the back wall like the proscenium of a stage, adding depth to the space while simultaneously infusing it with a touch of drama. 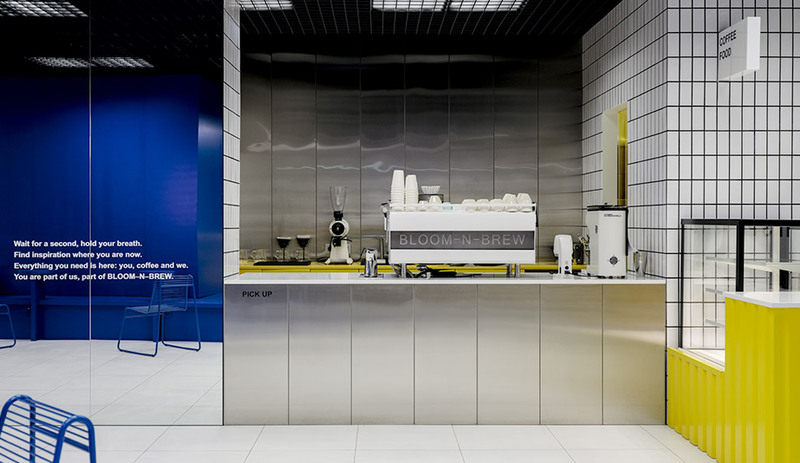 Leather and brushed brass accents, including a pendant lamp and wall-mounted washbasin, introduce material variety to an otherwise uniformly blond wood space. 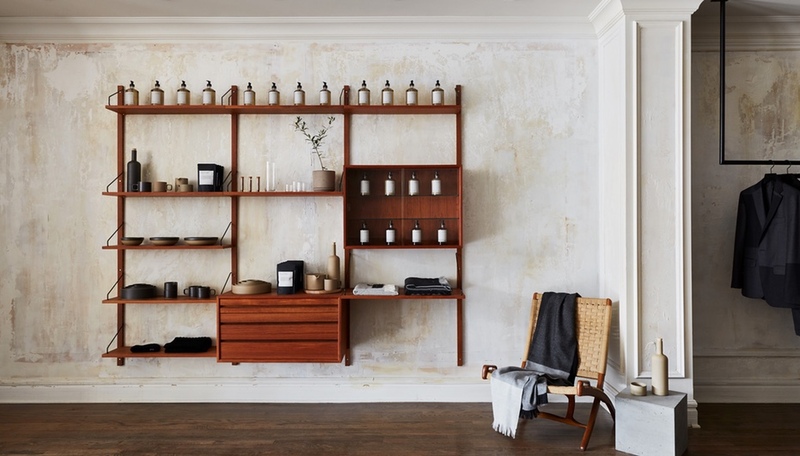 This isn’t the first collaboration between Aesop and March Studio; the firm has already crafted interiors for the brand in Sydney, Paris, Singapore and Zurich. 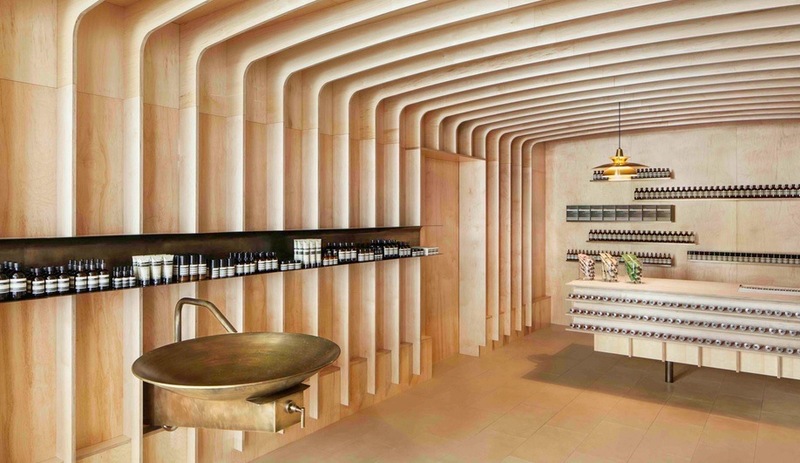 Aesop’s Bleecker location continues the company’s tradition of striking interiors, each unique but deeply rooted in the company’s aesthetic of minimalist compositions in neutral colours. 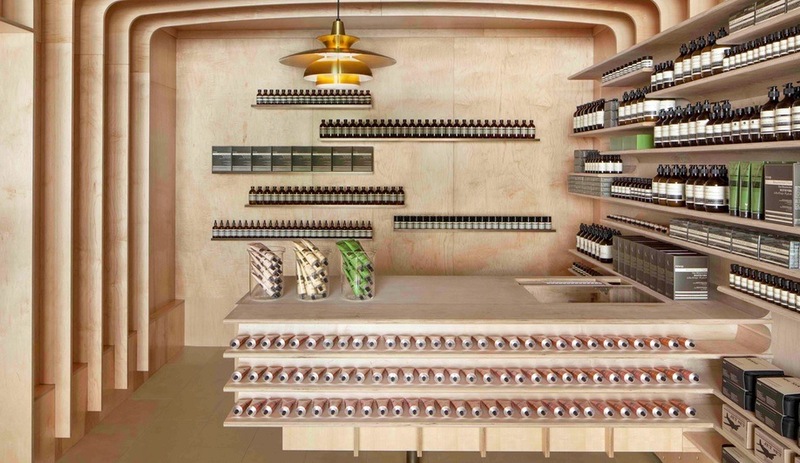 It joins two other Manhattan Aesop stores, in Nolita and University Place, that opened last year; both were designed by Jeremy Barbour of Tacklebox.